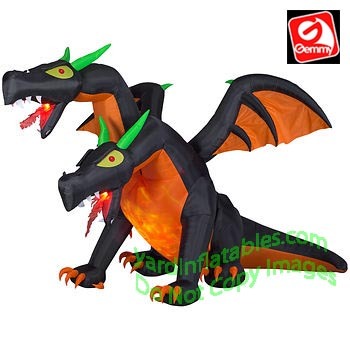 Black TWO Headed Dragon With Orange Fire & Ice Chest & Wings! There is a red LED light in both mouths that glow and slits to make it look like the dragon is breathing FIRE! 8 1/2' Tall x 14' Wide x 12 1/2' Deep!! !